When old love and new love collide an impossibility is born. When Lee Townsend’s husband leaves on a community outreach to China, the last thing she expects is for him to never come back—for him to have tragically met his demise. Lee goes on to marry his adversary and settles into life and business with him, merging her vineyard with his and creating a worldwide conglomerate. Five years later a twist of fate brings the past back to her and forces Lee to make a decision that will change the landscape of her life forever. Secrets emerge, forcing relationships to be examined—magnifying the surprising true underpinnings of her marriage to both Mitch and Max. Lee’s heart is unwilling to surrender her love for either Mitch or Max. She must choose to carry forward with the past or present. Lee has a choice to make. Mitch can’t figure out how to win. 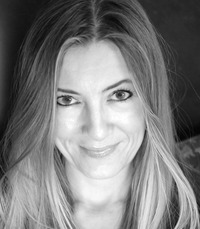 Addison Moore is a New York Times and USA Today bestselling author who writes contemporary and paranormal romance. Previously she worked as a therapist on a locked psychiatric unit for nearly a decade. She resides on the West Coast with her husband, four wonderful children, and two dogs where she eats too much chocolate and stays up way too late. When she's not writing, she's reading.